Gbrowser coming soon? Google says no plans yet. Gbrowser.com is registered to Google. The next release of Microsoft's Internet Explorer continues to concern Google, which nonetheless has no plans to develop a competing browser, Google Chief Executive Officer Eric Schmidt said Wednesday. 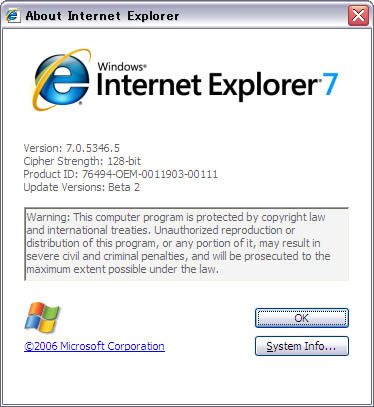 Microsoft is currently beta testing IE7, which contains a search box with a drop-down menu set by default to use the company's own search engine, but which includes other options. Google executives have in recent months complained about this, and Schmidt reiterated their concern on Wednesday. "We want to make sure that the use of the power of Windows is done in a correct and legally appropriate way," Schmidt said in a question-and-answer session with financial analysts and investors that the company webcast live. Google complained to the U.S. Department of Justice (DOJ) and the European Commission about this issue. However, the DOJ this month dismissed the concerns as groundless. Google critics have also pointed out that the company's grievance is inconsistent with the fact that Mozilla's Firefox browser has a similar search box which defaults to the Google search engine. Schmidt also said Google has no intention of developing its own browser because it doesn't see a user need for it, since there are many good options available in the market, such as Firefox, IE, Apple's Safari and Opera. "We would make the decision based on what end users want" and not to make a defensive move against competitors, he said. "You have a number of fine browsers. People have good choices." Google's search engine is the most widely used, but Yahoo, Microsoft and others are investing heavily to better compete and increase their share of the money that marketers spend to advertise on search engines. Last year, that was about 40 percent of the US$12.5 billion spent on online advertising. Online advertising grew 30 percent last year and is expected to continue to post robust growth rates for the foreseeable future. Asked to name Google's most successful product introduction recently, Senior Vice President of Product Management Jonathan Rosenberg cited the company's acquisition of Keyhole in October 2004 and subsequent integration of that satellite-image mapping technology into Google's local search service. The Keyhole technology boosted Google Local's usage and has made it into a service that people and advertisers find attractive, he said. On the other hand, Rosenberg acknowledged that the most disappointing effort in recent times has been Google's attempt to resell ads to print publications. Although that initiative hasn't taken off as expected, Google isn't giving up on it. "That's still in its nascent stages and it will require that we work with the producers of magazines to come up with formats that actually work for the kind of advertisements that we're placing," Rosenberg said. Meanwhile, Schmidt said Google's management is "ecstatic" over the multiyear deal, announced last week, to include several Google software products with Dell PCs. The companies tested the bundling for six months and found the customers' response to be overwhelmingly positive, yielding a "win-win" situation. It's very likely that the companies will expand the scope of the agreement, he said.